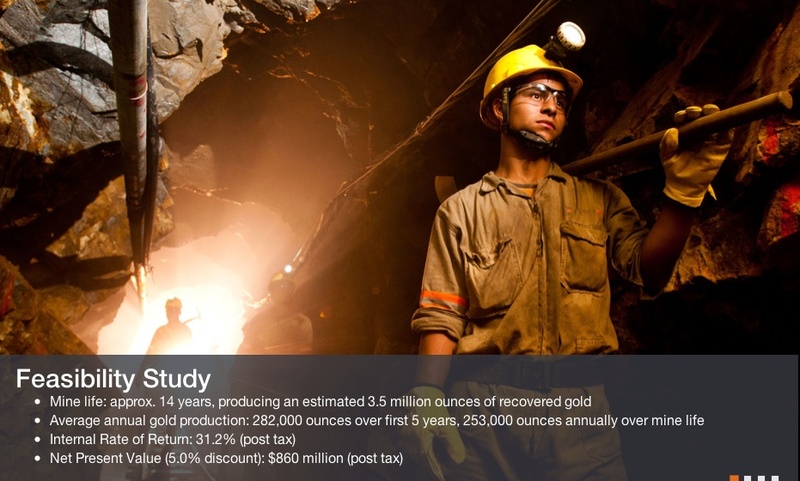 UPDATE: NEWMONT MINING JUST BOUGHT 20% OF CONTINENTAL! ONE OF THE GREATEST GOLD & SILVER PLAYS IN THE WORLD! 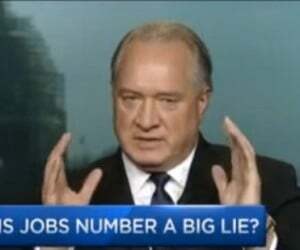 10 MILLION OUNCES OF THE HIGHEST GRADE GOLD ON THE PLANET! 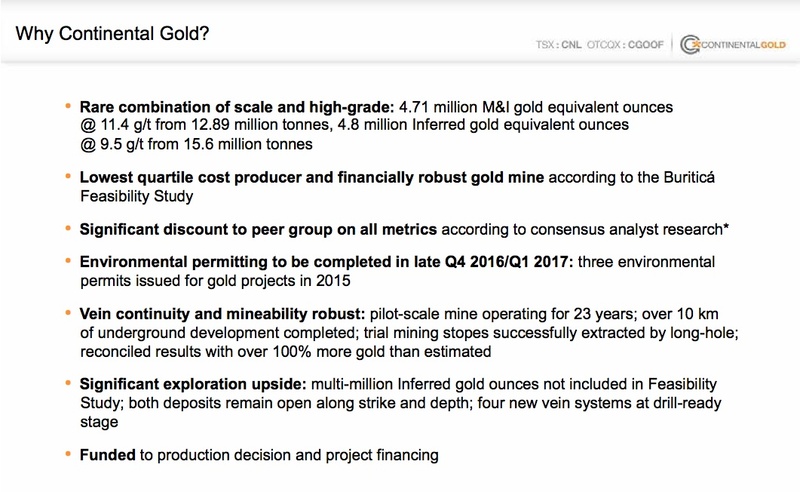 CONTINENTAL GOLD (TSX: CNL; OTCQX: CGOOF) Newmont Mining just purchased a 20% stake in Continental Gold! Continental is a well-funded advanced-stage exploration and development company focused on maximizing shareholder value and committed to the highest standards of community and environmental responsibility. 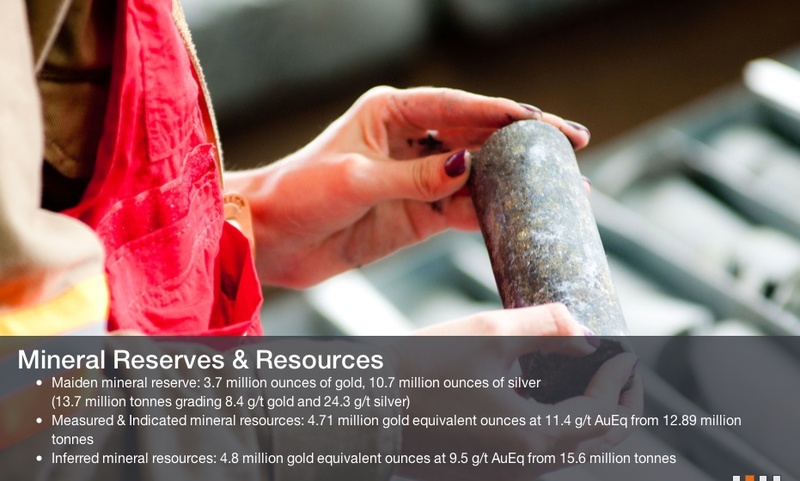 Continental Gold has one of the highest grade gold deposits in the entire world. 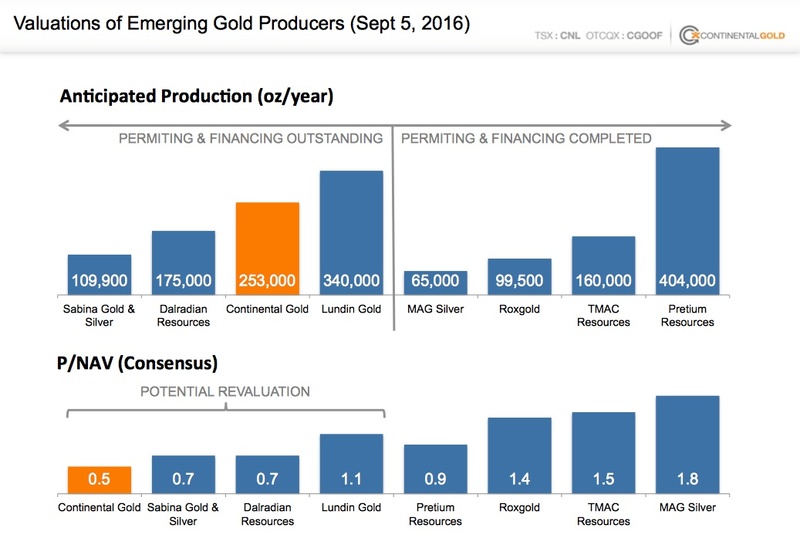 The company’s flagship high grade gold and silver project Buritica, has extremely high 97 and 95% recovery rates for gold and silver. 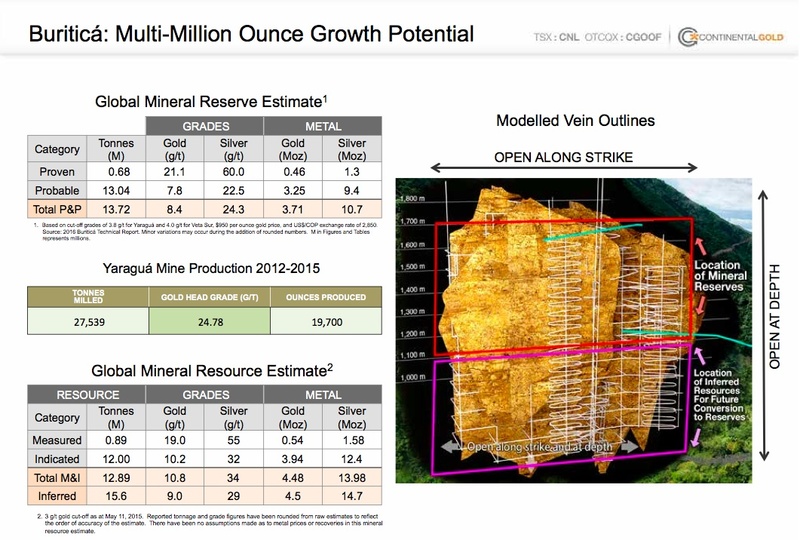 Buritica has gold resources of nearly 10 million ounces with grades averaging nearly 10 grams per ton of gold equivalent, which includes high-grade silver resources. 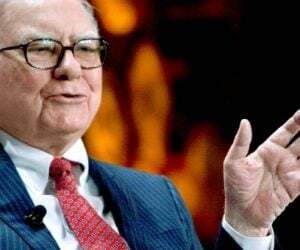 The company has high priority targets being drilled at Buritica and a portfolio of other potential high-grade exploration projects and all projects are 100% owned. 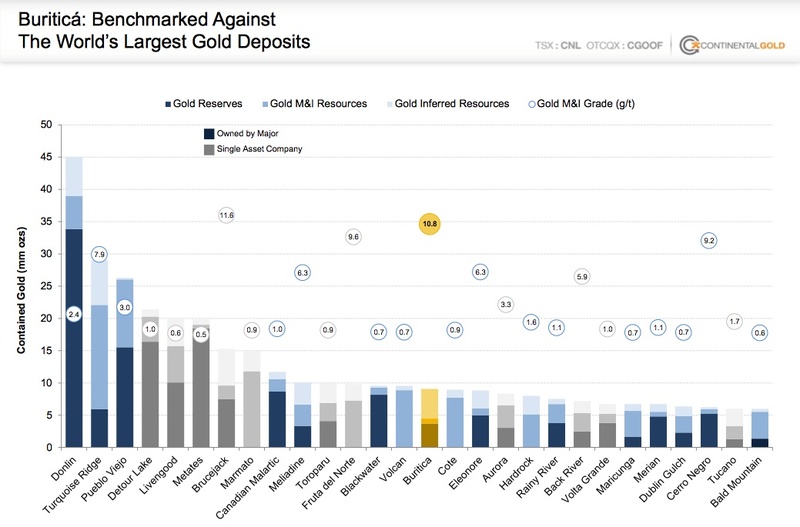 Continental Gold has over $100 million of cash in the bank and management also owns roughly 16% of the company. 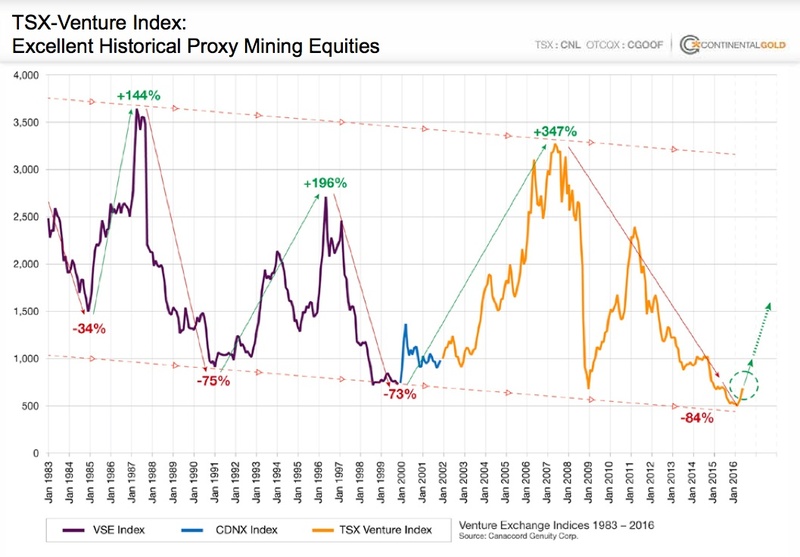 Symbol CNL on the TSX and CGOOF in the United States. CONTACT THE COMPANY DIRECTLY to get more information by calling (416) 583-5610 or email [email protected]. 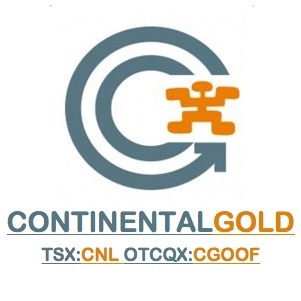 Continental Gold is an advanced-stage exploration and development company focused on maximizing shareholder value and committed to the highest standards of community and environmental responsibility. 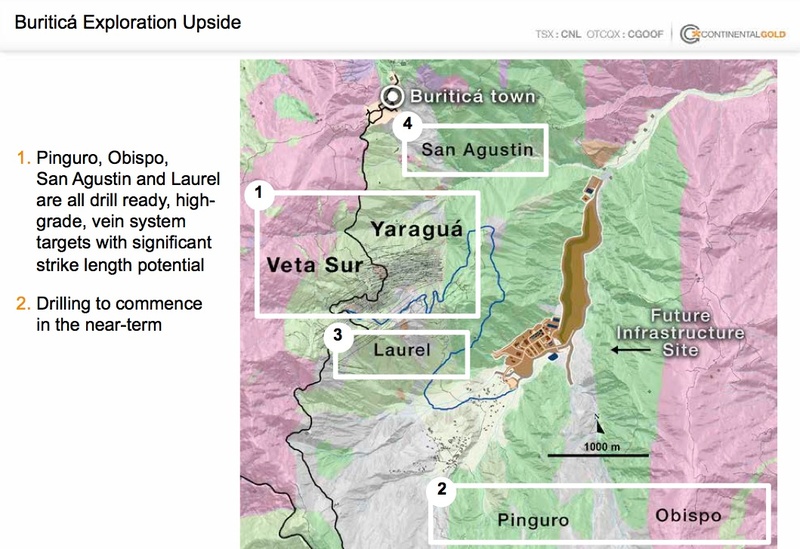 The Company´s 100%-owned flagship Buriticá project is a large high-grade gold deposit located 75 km northwest from Medellín, Colombia. On February 24, 2016, the Company announced the results of an independent Feasibility Study for the Buriticá project. 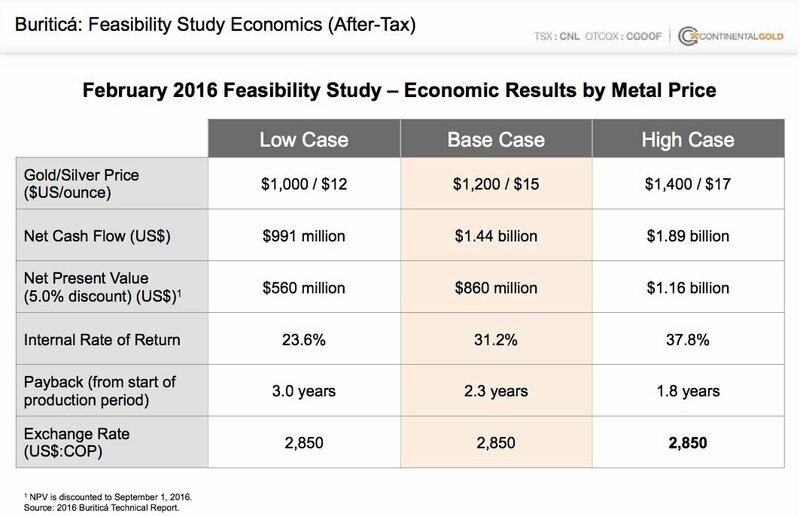 Utilizing a gold price of $1,200/ounce, a silver price of $15/ounce and a US$:COP exchange rate of 1:2,850, the base case scenario resulted in an after-tax net present value at a 5% discount (NPV5) of $860 million, an internal rate of return (IRR) of 31.2% and payback of 2.3 years. 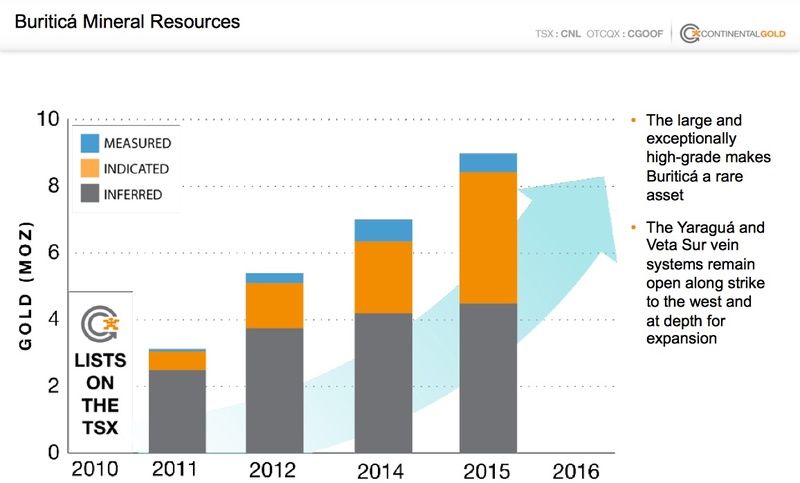 The Company´s 100%-owned flagship high-grade Buriticá project is a rare combination of size, grade, straightforward metallurgy, excellent infrastructure and growth potential. 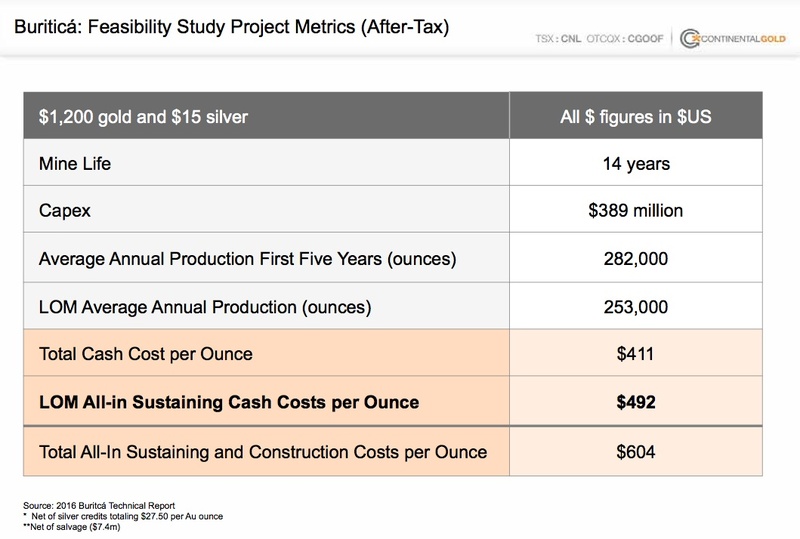 On February 24, 2016, the Company released the results of an independent Feasibility Study that indicates the Buriticá project will be a lowest quartile cost producer and an economically robust mine with modest initial capital expenditure. 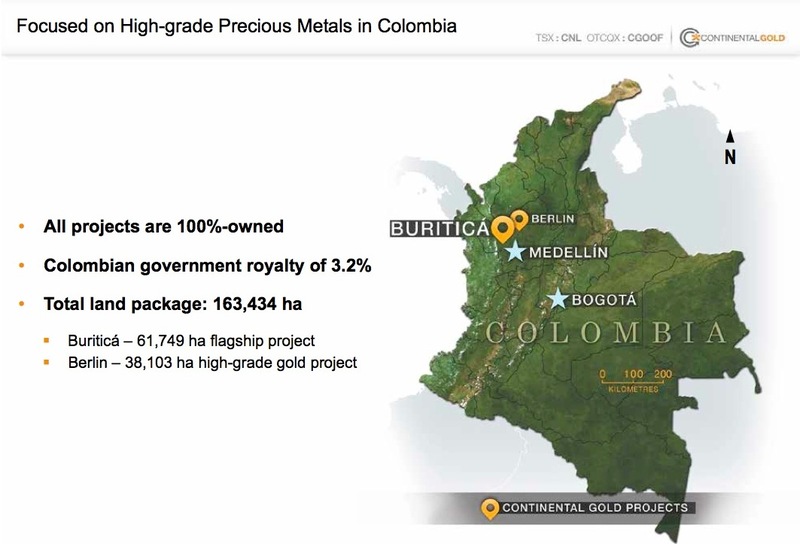 Once in production, Buriticá has the potential to approximately double the legal production of gold in Colombia and become the largest single gold mine in the country. In association with various government entities in Colombia, the Company was the first in the country to formalize small-scale mining associations, paving the way for the implementation of legal and responsible small-scale mining operations at the Buriticá project. 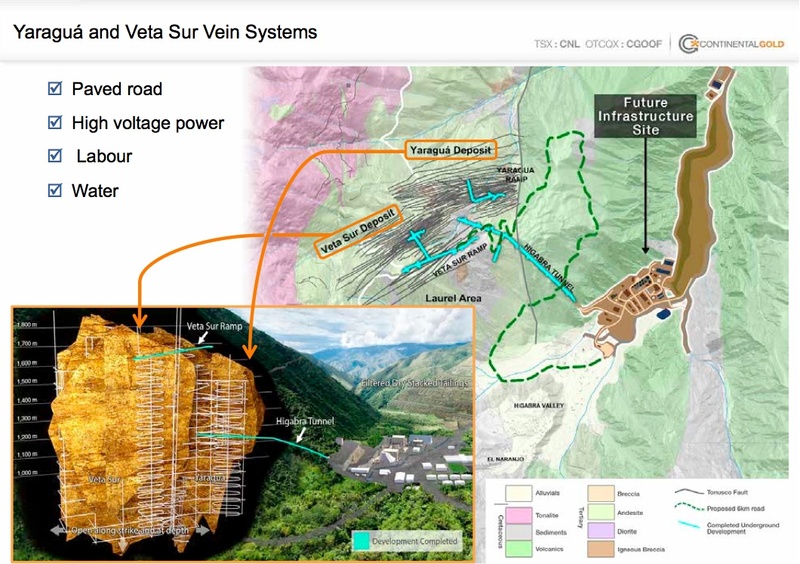 In addition, the Company has operated a 30 tpd small-scale operating mine at Buriticá since 1992 and is one of the largest employers in northwestern Antioquia, employing over 300 people. The Company focuses on providing a safe working environment and partnering with the local communities on key social projects. ARI SUSSMAN – CHIEF EXECUTIVE OFFICER – Ari Sussman has over 15 years of experience in both the natural resources and investment markets sectors. Having dedicated the majority of his career to the natural resources industry, Mr. Sussman has been instrumental in sourcing, funding and developing high-quality mineral assets. 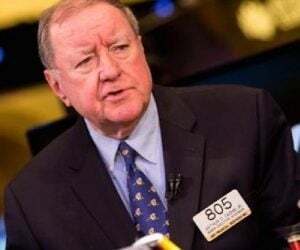 During his career, Mr. Sussman has built a strong network of business contacts throughout Latin America, and in the past decade has raised over $500 million for various resource companies Association. MATEO RESTREPO – PRESIDENT – Mr. Restrepo was Vice-President of Corporate Affairs at Prodeco Group (a Glencore subsidiary), Colombia’s third largest thermal coal producer, where he was responsible for managing the company’s key relationships with the Colombian government, non-government organizations, and national and local stakeholders proximal to its operations. He was also Director of the Colombian Office of Grupo Salinas – Banco Azteca of Mexico, where he played a pivotal role in the process of licensing and setting up operations in Colombia. Mr. Restrepo has held various positions with the Colombian Government, including Senior Counselor to the President of Colombia on Economic Recovery (2009-2010) and Advisor to the Presidency of Colombia (2005-2008). Born in Medellín, Colombia, Mr. Restrepo holds a Master in Public Administration from Harvard University and a Bachelor of Business Administration from Berkeley College.